It's almost that time of year again: Tootie Pie will be turning seven! My goodness, the time is going by so quickly. 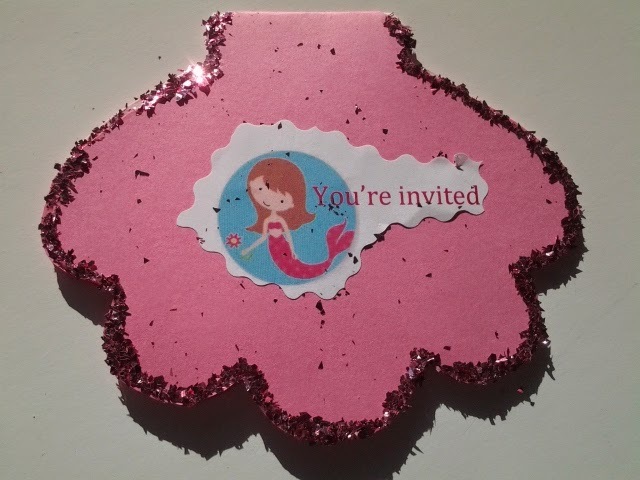 We are celebrating at a YMCA pool, so the theme will be mermaids or the sea. I will be crafting and cooking away once again, but this time I think she can help out more than in years past. 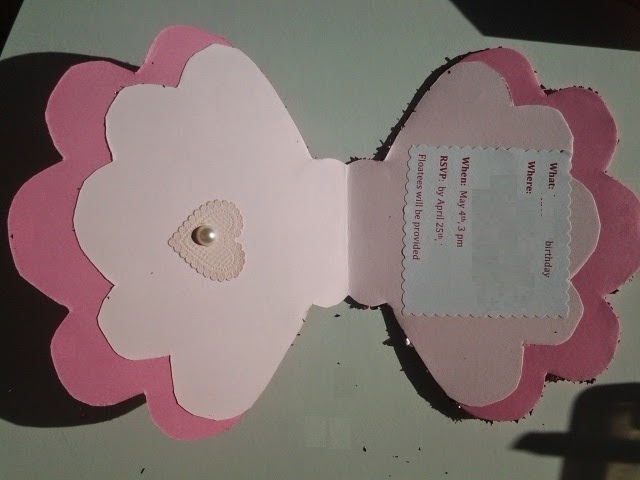 We made shell invitations, and she cut out the mermaid cover and inner detail, and put on the heart and pearl, and labeled the cards. I told her to just put the name of her classmate on the envelope, but she insisted on including siblings, many of whom we do not know the names. So, some envelopes are labeled "Meghan, Riley, and other sister" - which is far more welcoming to siblings, I think you will agree. Oh, and she glittified our entire home. But, they're done, and will be distributed tomorrow. Many things that I do, especially activities with Tootie Pie, begin out of innocent questions. Somehow, a discussion of Mr. Peabody and Sherman turned into reenacting the siege of Troy on film. There is a connection there, and I challenge my followers to find it. Tootie Pie and her bestie built the walled city, the horse, and brainstormed all sorts of details. Follow me down the rabbit hole and see what they came up with. After the rousing success of this movie adventure, Tootie Pie was hungry for more. My husband's "niece" (for lack of a better and/or easier term) just gave birth, and Tootie Pie is learning "Brahms Lullaby" in her piano class. There are German lyrics to this song, which she knows. So, in honor of the newborn, we quickly whipped up a cute video with her singing "Guten Abend, Gute Nacht". My favorite part of this process was when she was working the camera and I was on props. Non-German speaker that I am, had to rely on Tootie Pie to tell me when the part about the angels was. I asked three times and she didn't respond, so I just started moving the angel around aimlessly. This was not the take that we used, but when we replayed the video, it struck my funny bone.